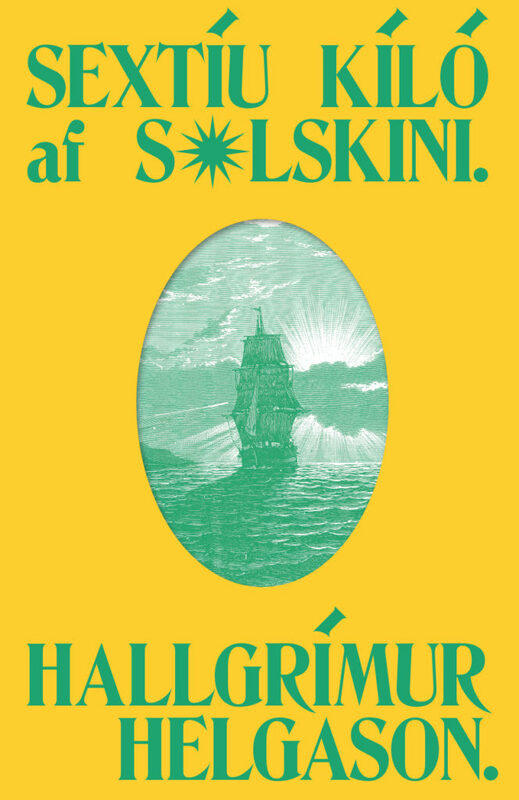 Sixty kilos of sunshine, A historical novel set in the poorest, coldest and darkest country in Europe, at the turn of the twentieth century, telling the story of Iceland’s path to modernity. Eilífur Guðmundsson returns from the week-long trip to the nearest town to the remote Segulfjord, where he farms with his family, to find—nothing. Nothing but a vast blank, an empty whiteness of snow that has covered everything from the innermost waterfall to the ocean’s edge. Beneath the avalanche, his family lie buried in their home, and it is only the lowing of their cow that guides him to the spot above the farmhouse. Eilífur digs down to find that only his infant son, Gestur, has survived, drinking milk from the cow’s udders. So begins the story of Gestur, whose coming of age is also the story of the birth of a nation. After a failed attempt to emigrate to America, and the loss of his father while shark fishing, Gestur finds himself living in luxury in a nearby town under the care of the shark boat’s owner, then sent back to the poverty of the fjord, before escaping aboard a French fishing vessel. The magnetic pull of the fjord drags him back, though, and it isn’t long before the Norwegians arrive, and with them the future, as the herring boom brings Iceland—and Gestur— into the modern age.